Online services like WishRadar, RetailMeNot and DealLocker can help you find bargains -- and one site will even pay you for searching. Buy a refurbished laptop or other piece of hardware: In the market for a new laptop? Maybe one of those spiffy Dell XPS M1530 systems tricked out for entertainment? They start at around $949, but if you're willing to go the refurbished route, you can pick one up for as little as $729. That's the price I found in Dell's Outlet Store (shown below), which is home to all of Dell's desktop and laptop refurbs. Refurbished items are those that didn't pass a manufacturer's initial quality checks or that were returned for some reason. In both cases, the hardware gets rechecked (and, if necessary, repaired) and restocked, though it can't be sold as new. Hence the often-hefty discounts. What's the downside? The gear may have dents, scratches, and/or other physical flaws, though nothing that will impact its operation. Also, it usually comes with a shorter-than-average warranty (90 days is typical). Apple is an exception: Refurbished iPods, iMacs and the like come with the same one-year warranty as new items. Same goes for Dell. For more advice about refurbished laptops, check out the advice from our mobile computing guru, Jim Martin. Interested in a used phone? Here's the scoop. HP, Lenovo and others sell refurbished PCs directly from their online stores; you can find refurb Blu-ray players, universal remotes, GPS receivers and other electronics at sites like Buy.com, eCost and Newegg. Estimated savings: $220 on a Dell XPS M1530. If you routinely shop at the same stores, sign up for their e-mail newsletters. Borders, CompUSA and eReader are among the e-tailers that offer exclusive discounts to subscribers. Estimated savings: $100 per year based on my shopping habits. Clip some online coupons: Ever get to the checkout page at an online store and wish you had a juicy discount code? Why not spend a few minutes searching for one? Just pop open a new browser tab and search for the name of the store and the words "coupon code" (or "discount code" or "promotion code"). Or head straight to a code-collecting site like DealLocker or RetailMeNot and look for the latest offers for your store. You may come up empty, but you could also land a code that saves you 10 percent or nets you free shipping. It works about half the time for me, making the search well-worth the effort. Estimated savings: $50 per year based on my shopping habits. Save on shipping: Speaking of shipping, head to Free Shipping On... to search Amazon and eBay for items that include -- wait for it -- free shipping. You'll also find free-shipping coupons for stores like Best Buy and Staples. Or get an alphabetical list of all the Web's current free-shipping deals at DealTaker.com. Estimated savings: $60 per year based on my shopping habits. 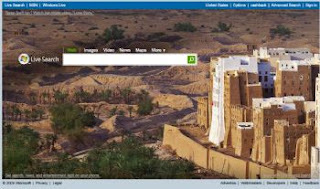 Search (Live) for savings: Microsoft has come up with an incentive program to encourage you to use Live Search (shown above) for your shopping. Just search for the product you want, then compare prices from participating stores. When you make a purchase, Microsoft will give you back a percentage (which varies, depending on the store) in cold, hard cash. Estimated savings: A few bucks here and there.